October 1942. 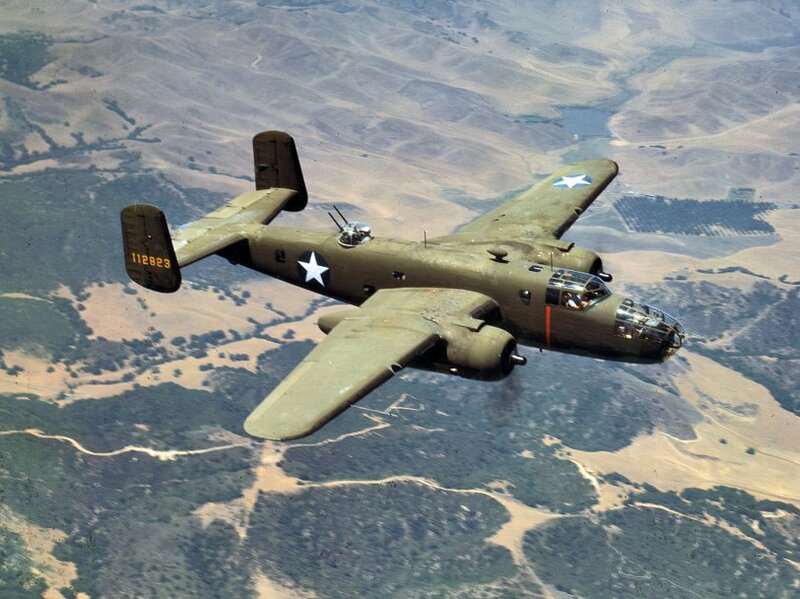 North American Aviation B-25 medium bomber 41-12823 over the mountains near Inglewood, California. View full size. 4x5 Kodachrome transparency by Mark Sherwood for the Office of War Information. Submitted by Anonymous Tipster on Wed, 06/11/2008 - 1:31pm. Submitted by Max on Sat, 12/15/2007 - 11:20pm. I think it's highly unlikely that this photograph was made over Inglewood, California. Inglewood would have already been a large and populous suburban city in 1942. 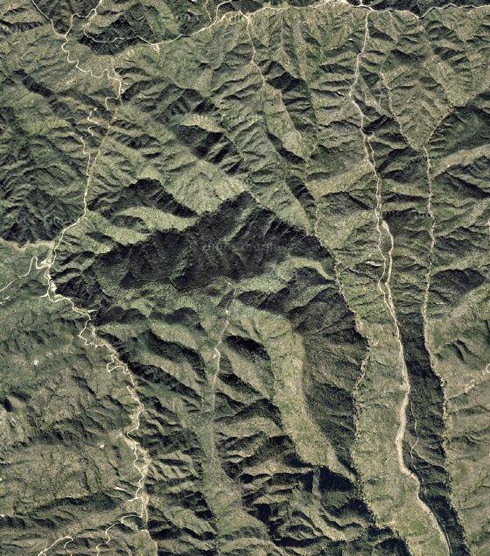 In fact, any photograph taken from the air over the Los Angeles basin in that year would have shown major signs of civilization. It's possible, however, that North American Aviation was based in Inglewood in 1942. There were other aviation companies with facilities in Inglewood during World War II, probably because of its proximity to Los Angeles Airport.